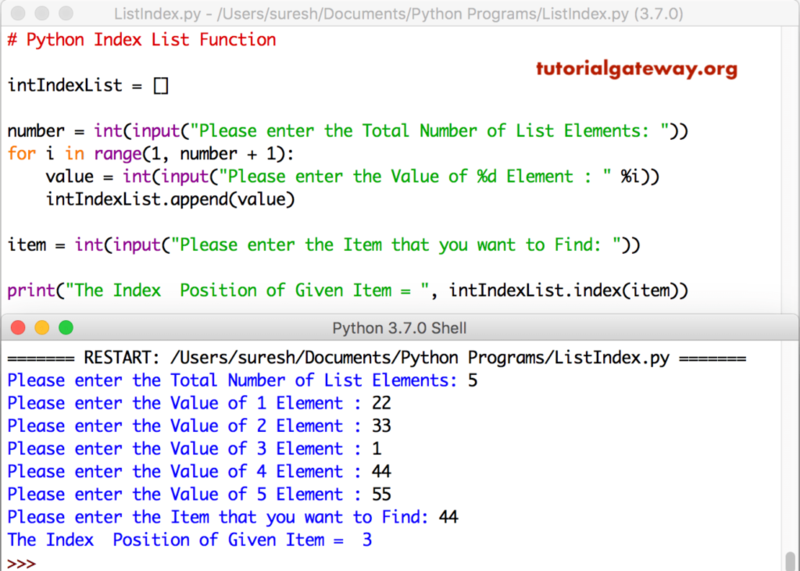 Python Index List is one of the List function, which is used to find the index of a item from a given list. In this article, we will show you, How to use this Python List index function with practical examples. In this example, we declared string list. Next, we used Index function to find the index position of Orange and Kiwi.